Mick, thanks so much for getting it very right with our photos, they turned out exactly like we’d hoped, natural and fun. We’ve had so many compliments on them and are really delighted with the finished result, some gorgeous shots, thanks for being so lovely to work with on the day and making things very easy for us, you can rest assured all your hard work will be treasured by us for a long time to come! We had a civil ceremony in Donegal last summer. We had been given a recommendation for Mick Hunt and the referral definetely paid off. We met Mick a few weeks before the wedding to run through the style of our day. To get us used to the camera and to feel at ease on our wedding day Mick took pictures of us in romantic poses. What a laugh!! We had gone for a vintage style/laid back ceremony which Mick ‘got’ and knew to work fast to get the shots. There was no overly contrieved- stand and pose as the happy new couple shots. He captured alot of action shots which were our favourites. He was even armed with props, e.g. 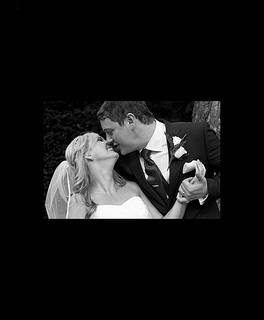 a vintage Mr & Mrs banner so that our thank you picture inserts were sorted at the same time!! 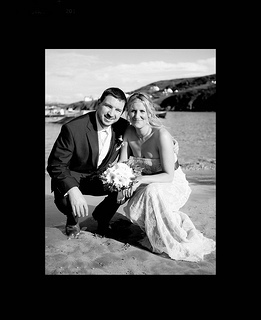 On the day he had done his research and knew where to take us to capture the best wedding shots e.g There was a quick photo shoot on the beach, while there he knew there was an old cottage with a barn door which would look great for our vintage shots. From a bride that wasn’t looking forward to posing for hours for the wedding album pictures I had such a laugh and the results we have are pictures that make us smile at the memories as to the image. As an added bonus, the photos came in a format that we could share with friends on Facebook, picasa etc. No dusty wedding albums in this house!